Read an interesting article in IBD last week outlining the expected costs in retirement of health care. The author writes that retirees should expect Medicare to cover only 60% of expected health care costs in retirement and that they should plan on $5,000-14,000/year in out of pocket health care costs. if their health should deteriorate and the clients don’t have long term care insurance, costs can certainly increase well beyond that. To factor your retirement health costs, simply look at your checkbook or credit card statement. Add up your copays and fees, and then depending on what coverage you choose in retirement (its own cost), you can determine your out of pocket adjusted for retirement insurance. And, don’t forget the cost of your supplemental health insurance policy! Also, add the cost of long term care premiums and if you skip that, factor a 50% chance of needing long term care and those out of pocket costs. I recently asked a friend who works for a home care agency to estimate various costs of home care (varying on the symptoms) and he gave me figures ranging from $400/month for help to a frail elder, to $8-16,000 for dementia care, and $12,000/mo for assistance to a stroke victim. If you’re prepared for those costs, congratulations. If not, you better think about that. What will you do? or numerous other issues – if you can take steps now, to get in decent shape, those estimated costs can be MUCH lower. My active clients are not on numerous medications, are not suffering from chronic diseases and are not suffering serious joint injuries. There is a lesson there. 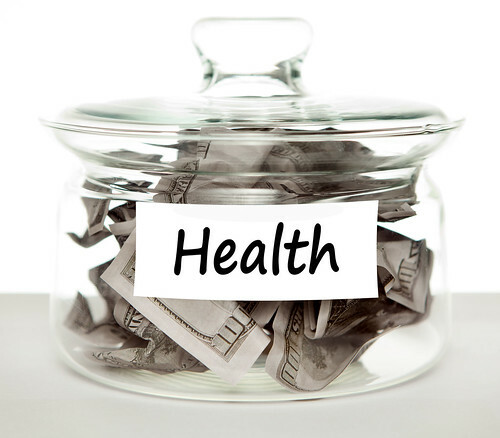 Bottom line, you have to estimate personalized costs based on what you spend now, and your health trajectory.